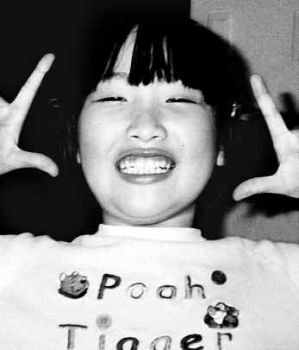 It was a heart-wrenching episode of a 12 year-old Japanese girl Satomi Mitarai, who was brutally murdered by a classmate of hers – a 11 year-old girl. The provocation appears very strange – the victim persisted in posting derogatory remarks about her appearance on an Internet message board. It seems they both were friends; they started exchanging text messages in April and played in the school basketball team. But their relationship soured. Many people in Japan attribute this killing to the growing tendency of teenagers dwelling more on internet, developing virtual relationships (as well as broken relationships) and the rapid spread of text messaging that has made many young people unable to form normal relationships. You could have seen the practice of exchanging text messages and use of steganography by two classmates in the class itself in: “Along came a spider” (Book, Movie). But nothing to replace personal touch and real relationships wherein human magnetism and the power of personality bring about a thaw. You meet someone eyeball to eyeball, sidle with him (or her) and the chemistry comes into action! A warm embrace or even a handclasp or a mere eye contact will work a magic which thousand text messages cannot deliver! The cost of livimg hasn't reduced its popularity.